PVC banner print. 2,45 cm x 1,66 cm. 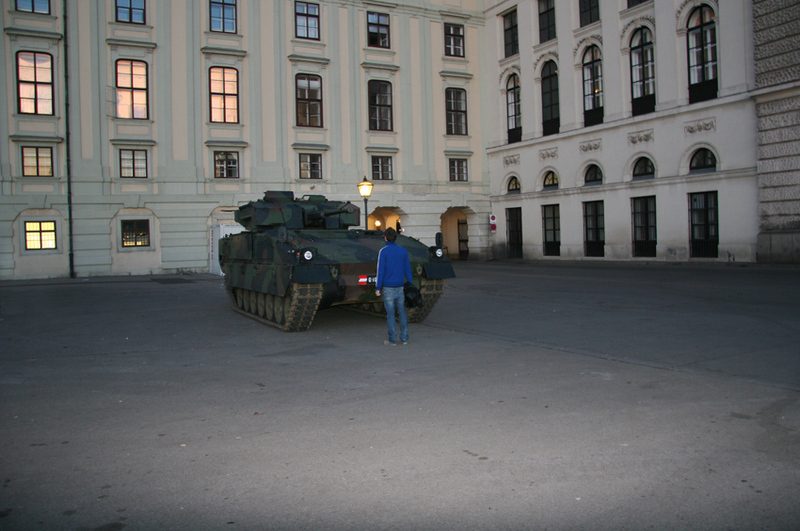 2010 During the Austrian national day i took a foto of me standing in front of a tank, parked at the Heldenplatz (Heroes' Square). An historical plaza in Vienna built under the reign of the Emperor Franz Joseph and controversially became known for Adolf Hitler announcing the â€œAnschlussâ€ of Austria to the German Reich here. 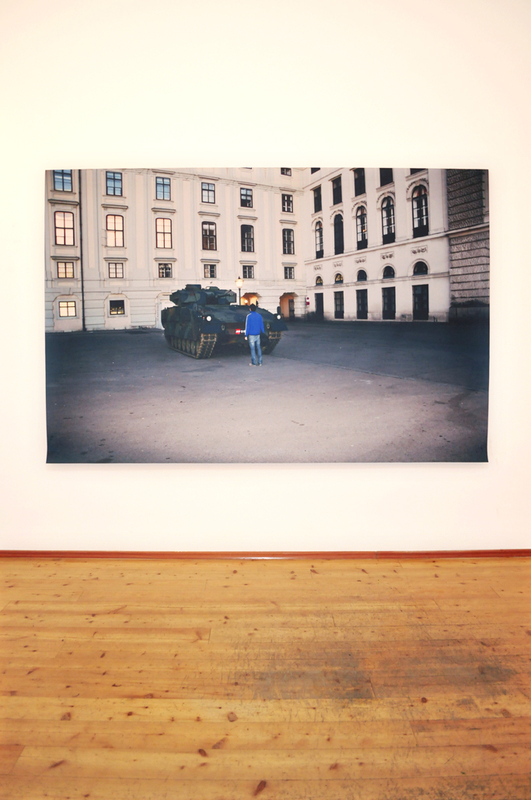 The Picture recalls the events of 1989, during Tiananmen protest, when an unknown rebel stood in front of a column of tanks stopping them from proceeding. 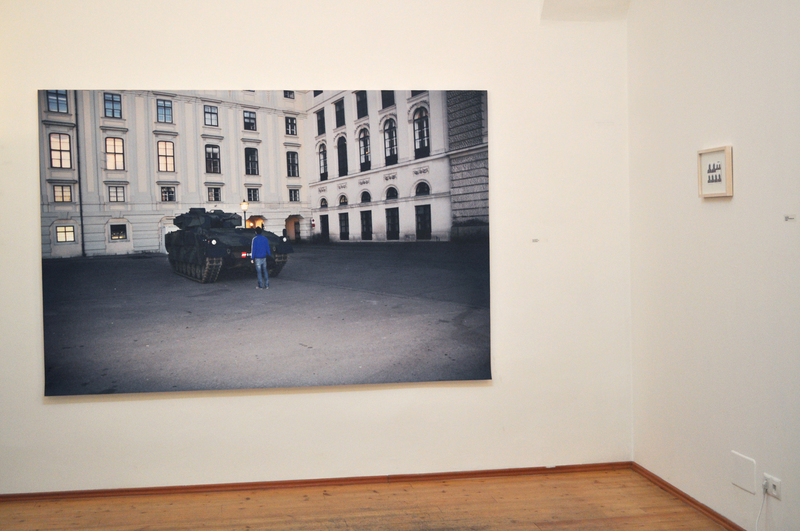 The work reflects on the concepts ofÂ monuments, rebellion and national identity.